The UHVDC transmission system plays an extremely important role in the power grid. It is very urgent and necessary to carry out research on overvoltage of the UHVDC transmission system and appropriate control and protection measures. 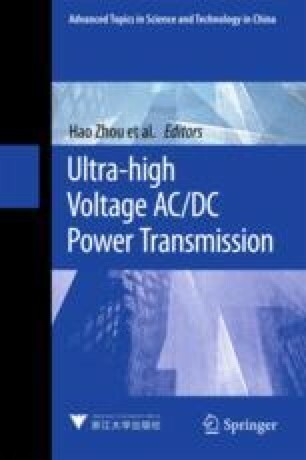 This chapter primarily takes a research on switching overvoltage of the UHVDC system. First, this chapter gives a discussion for classification and characteristics of switching overvoltage in the UHVDC systems. Then, by taking an actual example, this chapter gives a detailed introduction for calculation of typical kinds of switching overvoltage. Finally, this chapter gives an analysis and discussion for main switching overvoltage mechanisms, control and protection strategies.